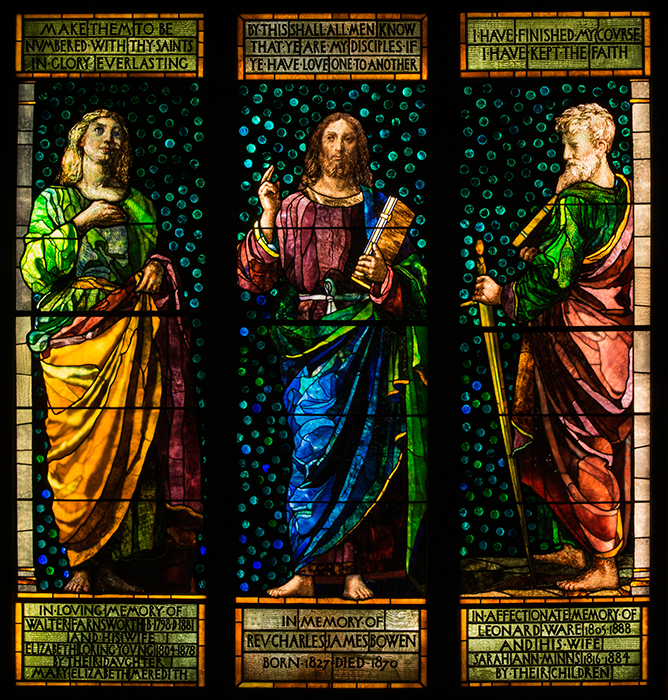 John La Farge and the Recovery of the Sacred presents more than eighty-five paintings, stained glass windows, and works on paper by one of America’s finest and most complex artists. 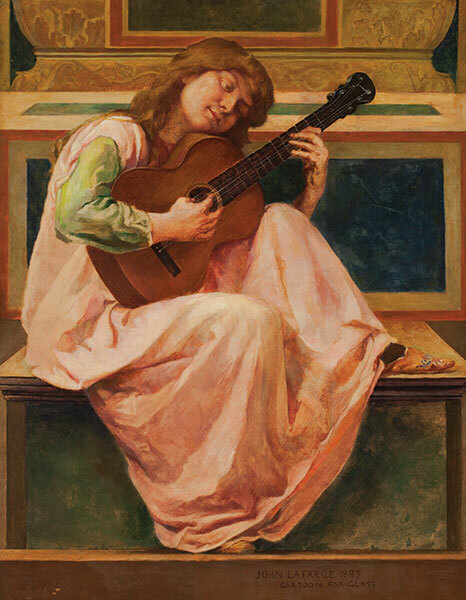 John La Farge (1835–1910) devised innovative solutions to negotiate boundaries between realism and symbolism. 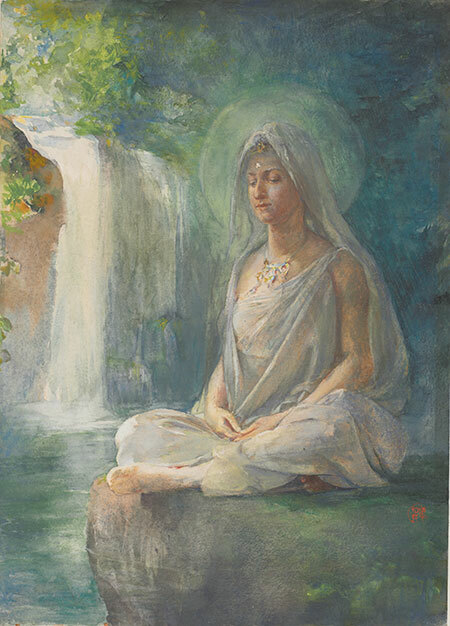 Occasioned by the magnificent gift from Alison and William Vareika (BC ’74) and completion of the restoration of three monumental stained glass windows to the McMullen Museum, this exhibition examines for the first time from an interdisciplinary perspective La Farge’s lifelong efforts to visualize the sacred. 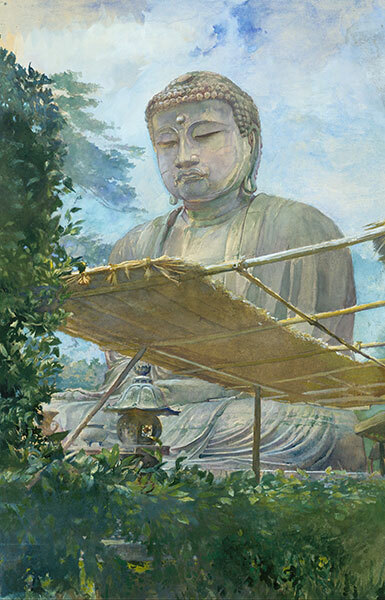 Demonstrating how the artist’s quest was manifest in representations of religious figures, nature, and still life as well as in stunningly imaginative book illustrations of romantic fantasy, The Recovery of the Sacred also explores how La Farge’s trips to Japan and the South Seas in 1886 and 1890–91 reinforced the multicultural range of his spiritual inquiry. 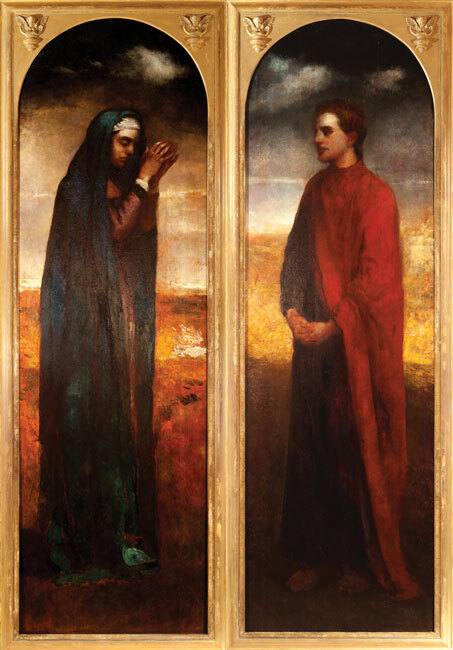 Organized by the McMullen Museum, John La Farge and the Recovery of the Sacred has been curated by Jeffery Howe and underwritten by Boston College, the Patrons of the McMullen Museum, Alison and William Vareika, and Jane and Gerard Gaughan. Additional support has been provided by the Newton College Class of 1975. 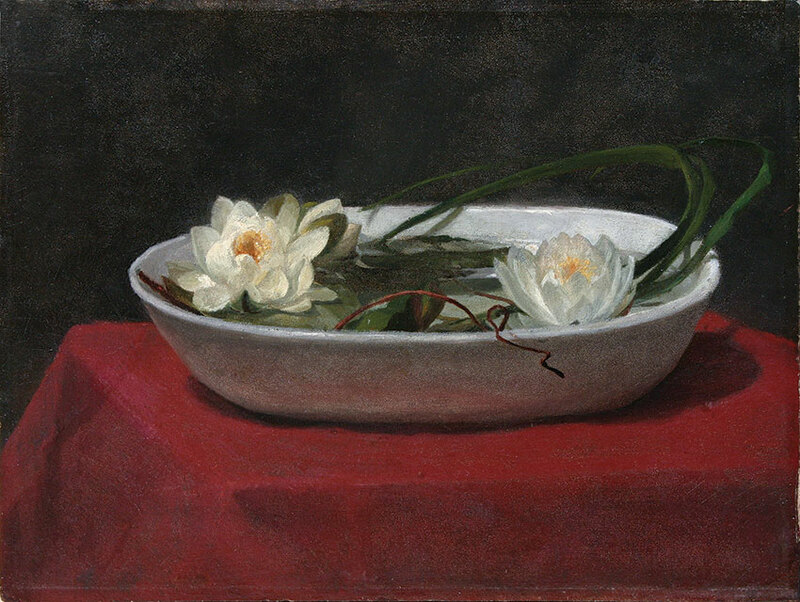 The accompanying catalogue, edited by Howe, contains essays by David Cave, Howe, Cecelia Levin, James O’Toole, Virginia Raguin, and Roberto Rosa.